There were a few folks out to work-out, photograph, or meditate for sunrise. The Masked and Brown Boobies continue to follow the ship. I think they are using the thermals created by our motion as they search for fish. 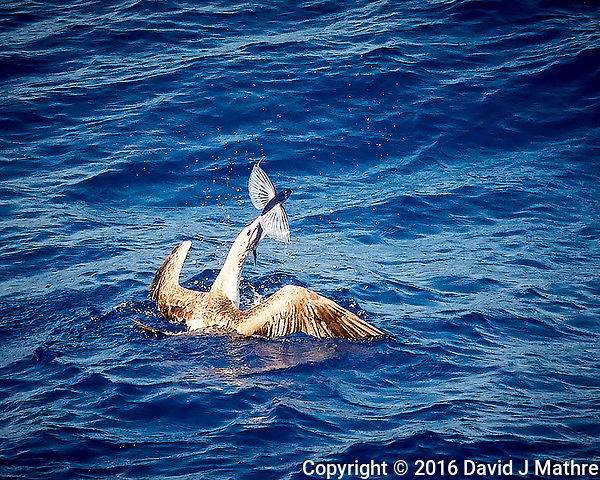 I managed to get an image of a Brown Booby just after it caught a Flying Fish. Later on at sunset, the conditions were just right for us to see a “Green Flash” as the sun disappeared into the Pacific Ocean. Semester at Sea, Spring 2010 Enrichment Voyage. Day 1 of 15. At Sea. 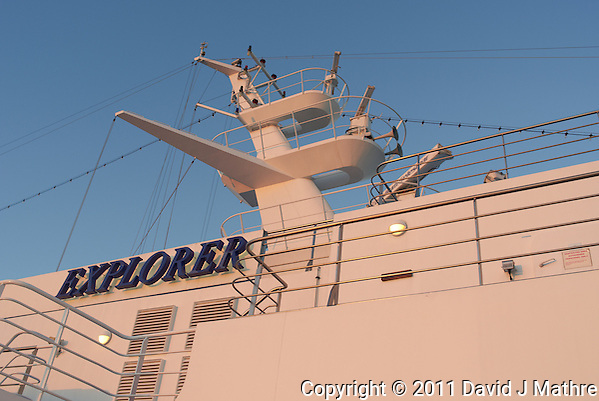 After spending the day in Nassau, Bahama we embarked on the M/V Explorer for San Juan, Puerto Rico. At sunset, we saw a glimmer of a “green flash” as the sun went below the horizon. Gone to See the World. Semester at Sea Spring 2016 Voyage on the MV World Odyssey. Day 6: Crossing the Pacific Ocean. 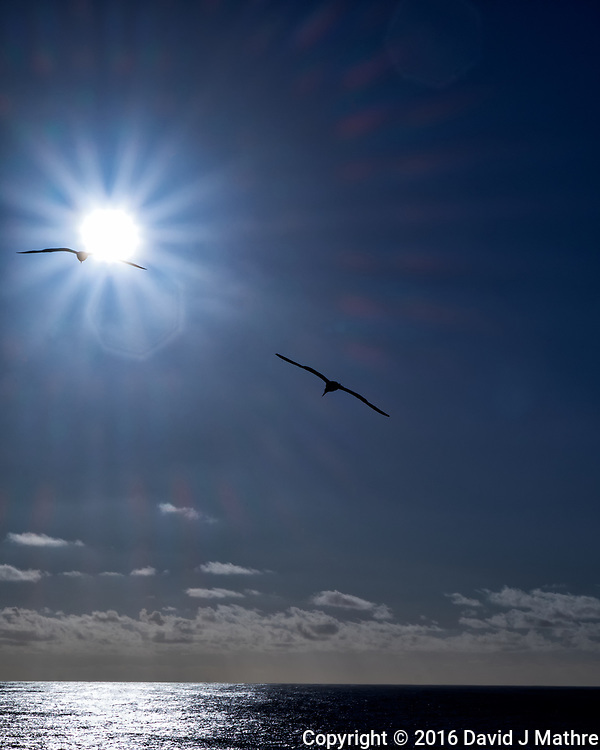 Pair of Brown Boobies flying into a Sunburst. I guess they didn’t read Icarus. From the deck of the MV World Odyssey while crossing the Pacific Ocean. Later on I caught a sequence of images of a Brown Booby fishing, then going into a dive. At the end of the day we were fortunate to see a glimmer of a “Green Flash” as the sun fell into the sea. Gone to See Central America and the Panama Canal. Semester at Sea Spring 2011 Enrichment Voyage. Ultimate Travel Photography Workshop II with Michael Mariant. Day 1: Depart San Diego; Travel to Ensenada, Mexico; Embarkation on the MV Explorer. 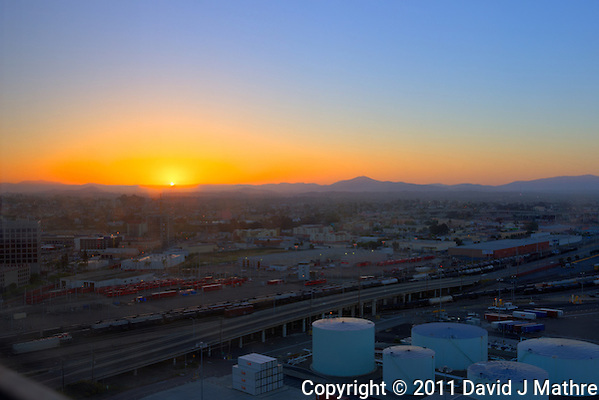 HDR composite of images of Sunrise over San Diego taken from my hotel room. Three images were taken with a Leica X1 camera (+2, 0, -2 EV) just as the sun started to show above the mountains to the east. The first image was processed with HDR Express, using its Artistic default. The second image was processed with Photomatix Pro using the Compressor Deep settings. 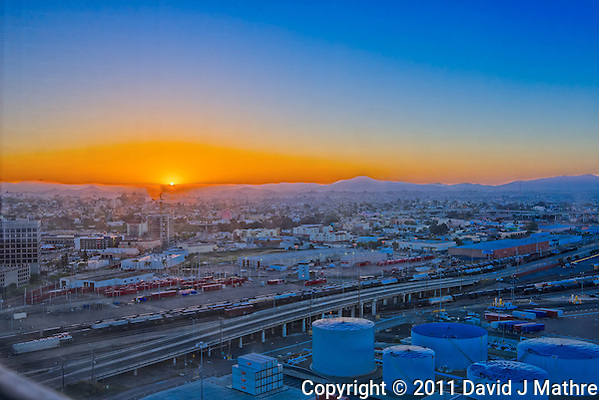 We left San Diego at about 11:00 by bus for Ensenada, Mexico. Once we arrived at the cruise line port we embarked on the MV Explorer to begin the Spring Enrichment Voyage to Central America and Panama Canal. It was good to see many friends from the Caribbean Enrichment Voyage and Ultimate Travel Photography Workshop I (UTPW-I) on board the ship. 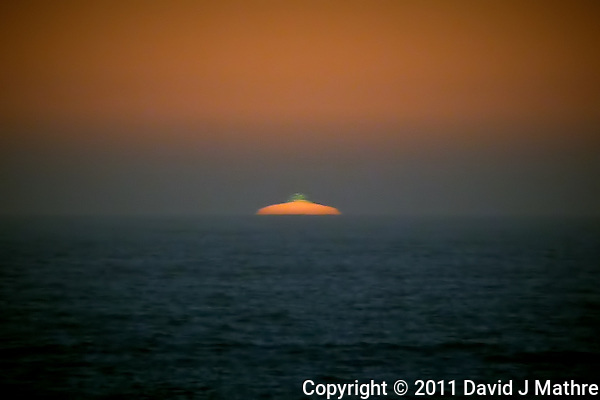 After the ship departed Ensenada for Cabo San Lucas there was a small green flash at sunset. The image was taken with a Leica V-Lux 20 camera (200 mm equiv). This is a good omen for the Voyage!! !